Can my friend be tested for dyslexia? Think you could be dyslexic? Anyone can have a dyslexia screening or a diagnostic assessment but there is a cost involved. A screening is very simple to do and can be done via online access in your own home however a diagnostic assessment is a more indepth assessment and, depending on who does this and where they are located, the cost of this can range from £350 – £800.00. The usual first step would be to have a screening. A screening considers the likelihood of the individual being dyslexic and the result will usually be worded like this; ‘moderate risk of dyslexia’, ‘highly at risk’ etc.. Depending on the result the individual can then decide on their ‘next steps’. If the person is in employment their employer may suggest they undertake a full diagnostic assessment and pay for this too but increasing numbers of employers go straight to suggesting a Workplace Needs Assessment. This type of assessment takes place in the workplace and looks at the challenges the individual faces on a day to day basis in their work. The resulting WNA Report usually makes recommendations for ‘reasonable adjustments’ which are often very straightforward changes and can include coping strategy coaching and assistive software to help them cope more effectively with their work tasks. (This makes good business sense because it can help improve productivity and once the individual starts to feel more ‘in control’ of their work tasks this helps to reduce the potential for work related stress). It has to be said ….it really depends on what your friend hopes to achieve by having a ‘test’. Some people ‘just want to know’ whereas others are not after a ‘label’ at all – what they want is practical help. If your friend wants to have a screening he can visit the British Dyslexia Association website and buy a single access to an online screener. This can be worked through in private at home and your friend can share the results if and when they want to. (Cost £48.00 + VAT). If you would like to know more about Workplace Needs Assessments or coping strategy coaching please do contact me. Struggling with tasks? Feeling you’re not achieving your potential? Following conversations – especially in group discussions. Packing efficiently for holidays or business trips. ‘Leisure shopping’–especially in busy/noisy environments. These are just a few of the day to day activities individuals may experience challenges with and as you can see these are not necessarily associated with difficulties with literacy or numeracy. The underlying challenges of dyslexia (and associated difficulties) are hidden yet they impact on day to day living in so many different ways. Many of the individuals I am referring to are often referred to as ‘literate dyslexics’ as their early year’s literacy and numeracy learning may have been well tailored to suit their individual needs and reading & writing is therefore less of a problem for them. However the underlying characteristics of their unique ‘processing differences’ are still present and whilst many will be coping OK at work etc ….others will be ‘treading water’ in their job roles and not reaching their full potential. Lack of self awareness means that whilst many dyslexic individuals may have developed coping strategies to help themselves ‘get by’– and many will be in very senior positions in the workplace, there are also innumerable others who are unaware that their day to day challenges are associated with their ‘Specific Learning Differences’. This book published by the British Dyslexia Association aims to shed light on this ‘learning difference’ and helps managers & HR professionals on their road to supporting dyslexic employees. 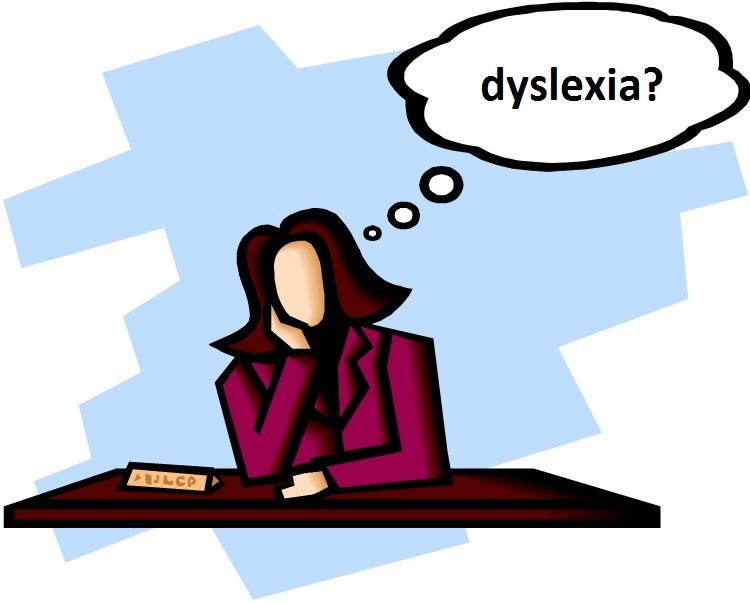 (As dyslexia affects between 10 and 15% of the population every workplace will doubtless have dyslexic employees). Dyslexia does not discriminate. It affects people of all ‘abilities’ – and there are countless literate dyslexics across all professions; lawyers, teachers, engineers, police, nurses …….this learning difference is everywhere. I think most people would agree – getting the best out of all employees makes good business sense (and it is questionable as to how many employers really understand the obligations placed on them by the Equality Act 2010). This publication is commended by Dr Sylvia Moody a professional much respected in this field and I believe it is a ‘must read’ for anyone interested supporting individuals in the workplace with the aim of helping them improve their personal productivity. In this book on dyslexia in the workplace Margaret Malpas and her collaborators have successfully condensed the large amount of information now circulating on this subject into a succinct yet comprehensive book. It is written in a clear non-jargony style and is therefore an accessible read for both employers and dyslexic workers.